As a teenager, Joy Kogawa learned her father had sexually abused young boys. The discovery left her broken. How do you recover from discovering that someone you love has done terrible things? This is the question Joy Kogawa has grappled with since she was a teenager, after learning that her father, a beloved Anglican priest, had sexually abused young boys. 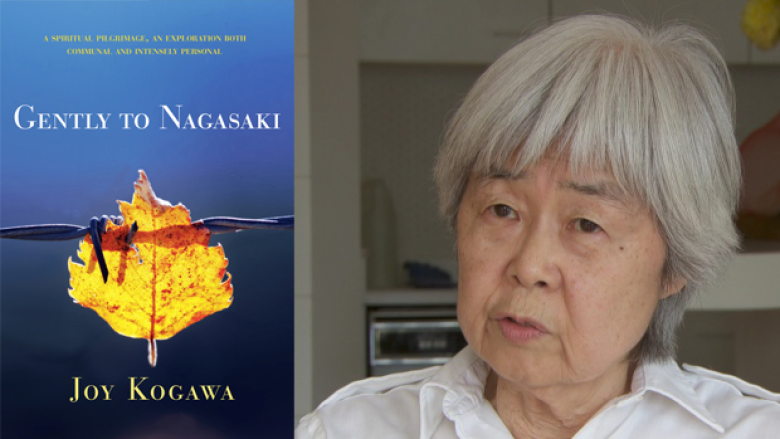 The revelation had not only an emotional effect on Kogawa, but a physical one as well. Throughout her life, she suffered from sudden bouts of nausea, vomiting and cold sweats. Her recent memoir Gently to Nagasaki chronicles her search for the "goddess of mercy," and reconciliation with the many threads of her life. I guess if I worshipped anybody, I worshipped him. He was the main source of love in my life and my family. I got fun and life and lightness from my father. I got heaviness from my mother. I wanted to be away from her, but I wanted to be near my dad. I adored him, and so did lots of other people. He was so full of life. He was so kind and thoughtful and sensitive. He was a person of conscience — people will say that's a psychopath who behaves like that or a person without conscience — but I know otherwise. When I learned the truth, my heart was rent. There was a deep fissure that occurred within me. I was no longer whole. What I remember doing, after my mom told me the truth, I walked away and I passed dad and I could see that his eyes knew that I knew. But I couldn't look. I just went up to the upstairs attic room and I wrote in my diary that this was a page I would never look at again. I think what happened after that was that my mind broke. The years that followed were strange because I built up a cloud castle where there was love. I would go there. I would make up things. I would fantasize. I wasn't diagnosed or given medication or named, but I look back and know that was a mind breaking. How does one get to do what one has to do? There was some pressure from within the community and from within myself to do something with the material. I think I had known that when you go through hell, you come to health and I had confidence in that. But I didn't know how much hell there was in this. I was a leaf in the wind, just writing down whatever was coming to me as it flew around. It was so impossibly hard. Everything screamed within me not to have to say "I". I felt embarrassed by that, I felt horrified, but I kept on anyway. I think confronting what you cannot bear will either kill you or save you. I have always trusted that love underlies reality. That's the one thing I hold to. And so, when I venture out, jumping over the cliffs and so on, my experience is that the nets are there. You fall into the nets. You keep falling and falling into the nets and you get lifted up to higher ground. That's been the journey and I'm grateful for every single leap I've made. Joy Kogawa's comments have been edited and condensed.